When will be Lud, zbunjen, normalan next episode air date? Is Lud, zbunjen, normalan renewed or cancelled? Where to countdown Lud, zbunjen, normalan air dates? Is Lud, zbunjen, normalan worth watching? 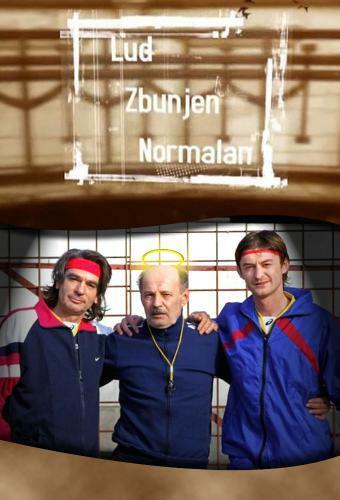 Lud, zbunjen, normalan (Crazy, Confused, Normal) is a Bosnian television comedy series.Three generations of the Fazlinović family all live in a Sarajevo apartment. The oldest of the family is Izet Fazlinović. Izet has a son Faruk, who in turn has a son Damir. In season four, Damir's son Džebra is born. The show's title refers to the three main characters, with Izet being Lud (crazy), Faruk being Zbunjen (confused) and Damir being Normalan (normal). The show's plot revolves around humorous situations involving the Fazlinović clan, their friends and co-workers. Lud, zbunjen, normalan next episode air date provides TVMaze for you. EpisoDate.com is your TV show guide to Countdown Lud, zbunjen, normalan Episode Air Dates and to stay in touch with Lud, zbunjen, normalan next episode Air Date and your others favorite TV Shows. Add the shows you like to a "Watchlist" and let the site take it from there.